THERE HAVE BEEN many versions of the developments that led to the resignation of Binny Bansal as the group CEO of Flipkart, India’s largest e-commerce company which he cofounded 11 years ago. There has been, however, only one consequence—Flipkart is now under the firm control of the American retail giant Walmart, which acquired a majority stake in the company in August. With Flipkart in its kitty, however, it is a different story in India. Flipkart is the market leader with a 35 per cent share against Amazon’s 30 per cent. Along with its subsidiaries Myntra and Jabong, it is ahead in gross merchandise value (total value of products sold over a period) as well. But, before that, Walmart will have to fill some gaps. 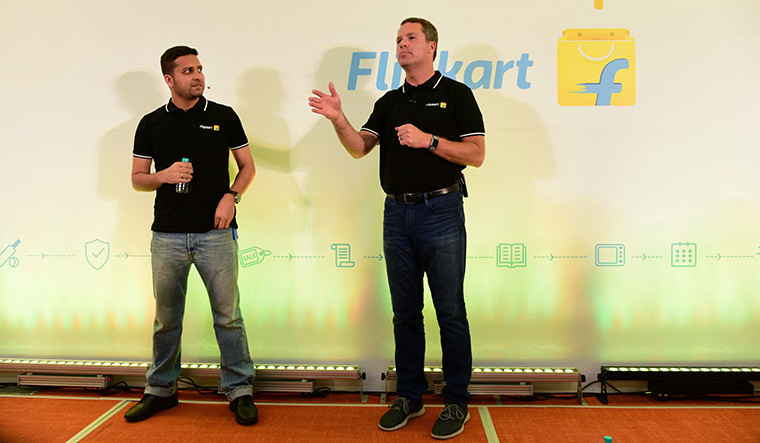 Expert say there has been a lack of management depth at Flipkart. “I think Walmart has already begun the process of increasing the management bandwidth at Flipkart,” said Arakal. Also, Bansal’s exit is unlikely to affect Flipkart’s operations. “Flipkart has been run for the past 15 months by its CEO Kalyan Krishnamurhty. He has done a fantastic job and ensured that Flipkart retains its market leadership position,” said Lakshmikanth.